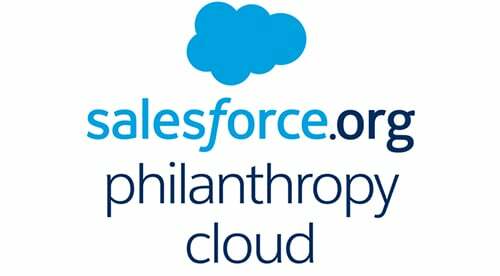 This is a story about how the zeros and ones within Salesforce play a big part in reducing the number of people who take care of their “number two” out in the open. One out of three people on the planet lacks access to a proper toilet. When they defecate in the open field, it contaminates water, causing widespread diarrheal disease that increases childhood mortality and stunting, saps adult productivity, and puts extreme financial stress on poor families due to medical costs. International Development Enterprises (iDE) works to create income and livelihood opportunities for poor rural households. Experience has shown us that profit is the most effective force to solve poverty. Our approach to development is to give people a chance to earn an income and buy aspirational products designed specifically to meet their needs. 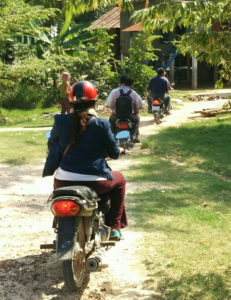 After decades of civil conflict and the disastrous Khmer Rouge regime, Cambodia is recovering quickly. Yet by 2012, only 29% of the rural population had access to sanitation. At iDE, we set out to determine how we could leverage market forces to get the other 71% a toilet. We started by taking the time to listen to those people, treating them as customers and learning about their ideal toilet: clean, comfortable, and dignified to use. Our human-centered design group developed a concrete ring pit latrine that met 80% of the ideal design at 20% of the cost. We tailored the construction process so that local masons could easily be trained to produce the parts at a profit. We also recruited commissioned sales agents called Sanitation Teachers, who educate villagers on how an investment in a latrine yields health dividends and financial savings. In the first 2½ years of our project, Sanitation Teachers and masons sold and delivered 140,000 toilets – in the provinces where we work, this means that 40% of the population now has access to proper sanitation. This is an unprecedented success in the sector and one that we are keen to scale up in phase two, where we aim to reach 233,000 more households, in half the time. To hit this ambitious target we need to overcome intertwined obstacles in the supply chain. Sanitation Teacher turnover can be high if they fail to make sufficient sales, thus reducing orders sent to the masons. On the production side, masons build other concrete products and often have their own fields to plant and harvest, reducing their ability to supply latrine parts on demand. And when customers experience a long delay, they are more likely to be dissatisfied and cancel their order. Our solution was to digitize the process with a Salesforce custom app that tracks every sale from the day it is ordered by the customer, to the day it is assigned to an available mason, to the day it is delivered. 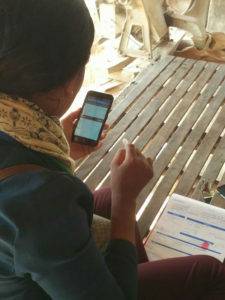 Using TaroWorks, a Salesforce Appexchange app developed by the Grameen Foundation, our 250+ Sanitation Teachers log orders by inputting key information, including GPS coordinates and customer photos, using Android devices. They can capture data even when disconnected from the Internet, syncing their orders to our instance once they are in network range. Supply chain coordinators check for available masons and distribute orders via Partner Community and confirm delivery of individual orders using TaroWorks. 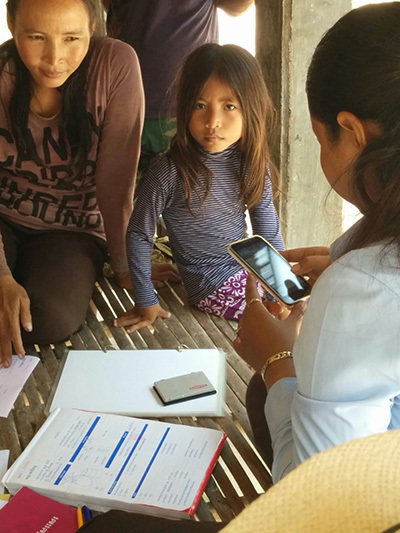 Throughout the process, dashboards and reports allow project leaders in Phnom Penh to monitor everything in near real-time. Thanks to the highly customizable nature of Salesforce and TaroWorks, it took only two months for the first pilot, and now over 6,000 orders flow through the system each month. 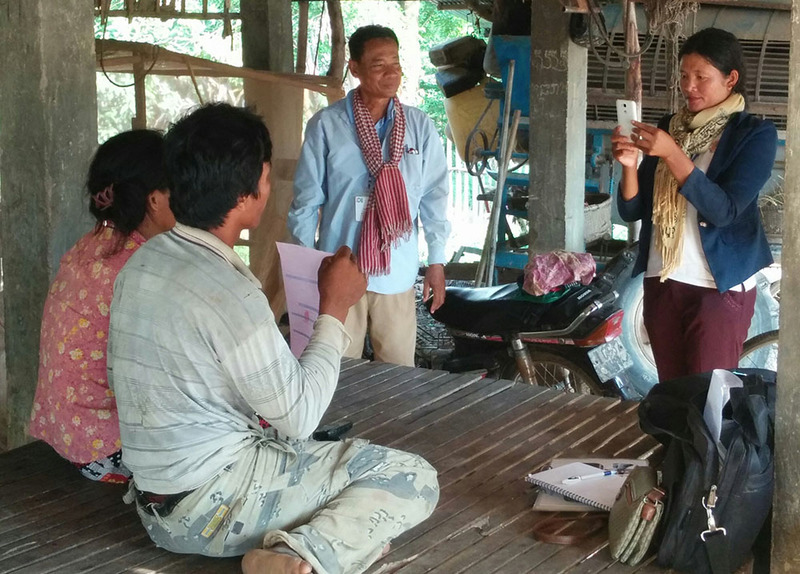 Our Cambodia Sanitation Marketing program shows how this capability can transform the way we work. Project teams create ad-hoc reports to drill down on a problem area and have hard conversations around data. Our monitoring and evaluation and marketing teams in Denver, Colorado no longer need to chase field staff for the latest impact figures. Donors are more confident, enjoying a new, high degree of transparency and accountability not common in our sector. Leveraging the existing architecture, we are now managing a controlled trial in Salesforce to investigate the effect of extending credit to boost latrine orders from even the poorest households. Across iDE, we plan to roll out similar management information systems for Sanitation Marketing programs in Ghana and Ethiopia, with the ultimate goal of applying our lessons learned to poor households around the world. 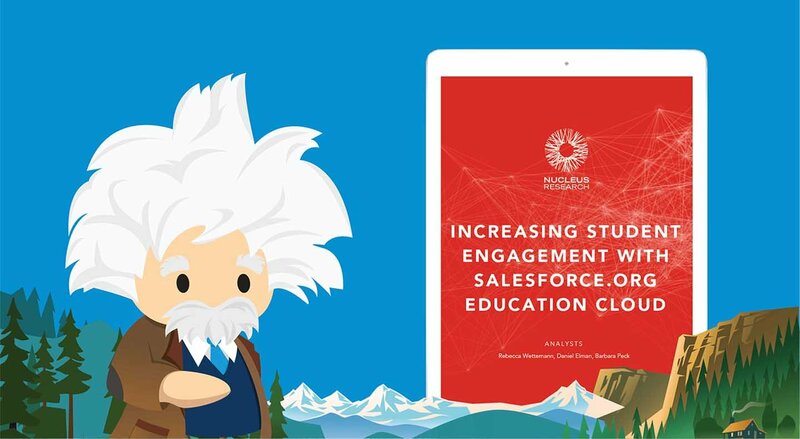 For more on how nonprofits are using Salesforce for program management in action, Salesforce.org hosted a webinar on June 9, Program Management with Salesforce: A Client Lifecycle Case Study from an Education Nonprofit.